Belgrade Centre for Human Rights was founded with the aim of enhancing knowledge of human rights and humanitarian law, thus one of the Centre’s most important activities is education. At the time of its inception, the availability of literature in Serbian on human rights was lacking. Accordingly, in 1995, Centre began to publish books and collections of articles relating to human rights, with the goal of encouraging academics to engage with the theory of human rights. This is in the line with Centre’s persistent attempts to establish a high level of respect for human rights in the rule of law and raise citizens’ awareness of the importance and ambit of human rights and civil liberties concepts, thereby creating an environment for their full appreciation. Nataša Nikolić, Practice of the Judges for the Execution of Criminal Sanctions (in Serbian), 2017. The institute of the Judge for the Execution of Criminal Sanctions was introduced into Serbian legislation by the 2014 Law on the Execution of Criminal Sanctions. The purpose of the institute is to familiarize these judges with the living conditions and the overall situation in prisons, as well as to enable them to contribute to a more humane treatment of convicts in order to prevent the meaningless time spent in prisons and lack of interest of the convict after the verdict. Participation of judges at the stage of the execution of criminal sanctions was also recommended at the VII Congress of the United Nations as an effective method for the successful re-socialization of convicted persons, and the recommendation is contained in Resolution 40/33, known as the Beijing Rules. Radmila Dragičević Dičić, Marija Vuković Stanković, Lena Petrović (eds. ), Application of the Principle of Non-Penalization of Refugees in Misdemeanor Proceedings (in Serbian), 2016. The purpose of this manual is to provide judges with answers to numerous doubts and questions related to conducting misdemeanor proceedings related to the unlawful entry into territory or stay of foreigners in Serbia. Another purpose was to approximate and facilitate the application of the principle of non-penalization of asylum seekers and refugees, and thereby contribute to the equalization of the diverse case law. The authors hope that the manual will also be useful to other legal practitioners dealing with the protection of the rights of persons in need of international protection, as well as to police officers dealing with foreigners. N ikola Kovačević, Nevena Nikolić, Dušan Pokuševski (eds. ), Realization of Rights of National Minorities – Implementation of Recommendations of Independent Institutions for the Protection of Human Rights in Serbia (in Serbian and English), 2013. This publication was developed during the implementation of the project Increasing the Efficiency and Visibility of Independent Institutions for the Protection of Human Rights in Serbia during which the Belgrade Centre for Human Rights team monitored the implementation of the recommendations of the Ombudsman, the Commissioner for the Protection of Equality and the REGIONAL OMBUDSMAN relating to the realization of the rights of national minorities. […] This publication presents the results of research which included the realization of rights of national minorities with specific topics – transfer of founder and governance rights over the cultural institutions and within the framework of the official use of language and script, the display of the manes of public authorities, the names of local government units, towns, squares and streets and other toponyms in the language and according to the orthography and traditions of the national minority, through the monitoring of the implementation of recommendations in practice. Nevena Dičić–Kostić (ed. ), Prohibition of Ill-Treatment and Media Reporting – A Guide for Journalists (in Serbian), 2011. […] The primary goal of this publication is to contribute to reporting which will have an impact on the prevention of ill-treatment, on punishment of perpetrators, as well as on the improvement of the positions of torture victims. The guide should, first and foremost, assist journalists in distinguishing between prohibited and permitted forms of treatment, introduce them to responsibilities, desirable standards of treatment of persons deprived of liberty, reporting standards that satisfy the right of the public to be aware, but also the inviolable right of the victim to be protected. Radmila Dragičević-Dičić, Ivan Jankovič (eds. ), Preventing and Punishing Torture and Other Forms of Ill-Treatment – a Manual for Judges and Prosecutors (in Serbian), 2011. Torture, cruel, inhuman or degrading treatment or punishment – all of these are forms of abuse and are strictly prohibited. The prohibition on abuse is general. It also applies to state institutions. Although this prohibition has been in place in Serbia for a long time (having been included in the legislation of the SFRY), torture and other forms of abuse still continue to occur. During the ’90s, then still as a part of SRY, Serbia was one of the few countries against which the UN Committee Against Torture began an investigation, as it had received credible evidence that torture was systematically occurring on Serbia’s territory. Cases of torture still occur, especially in police stations. This manual provides the relevant international legal regulation and practice of those on whom the prevention and punishment of torture most depends – prosecutors and judges. The book’s aim is to simplify their work by explaining and resolving issues that might come up in cases, whether these issues relate to substantive or procedural law, on the prohibition on torture and other forms of cruel, inhuman or degrading treatment or punishment. Additionally, the manual offers adequate definitions and a historical review of abuse. 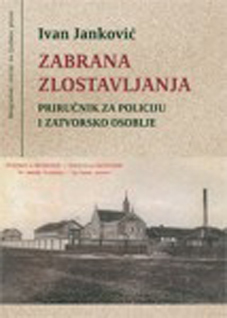 Ivan Janković, Prohibition of Ill-treatment – A Manual for Police Officers and Prison Staff (in Serbian), 2010. Primary aim of this manual, for police officers and members of staff of institutions for deprivation of liberty, is to prevent abuse, above all by helping police officers and prison guards to differentiate between forbidden and permitted treatment, as well as to introduce them to mandatory and desirable standards of treatment of persons deprived of liberty. The regulations of relevant international treaties which our country has ratified are more narrowly specified. Also, the manual explains the mandate and work of supervisory bodies which report and prevent occurrences of torture, cruel, inhuman or degrading treatment or behaviour, or those which adjudicate in proceedings which individuals initiate when they believe that they are victims of torture are explained. Jelena Subotić, Hijacked Justice – Dealing with the Past in the Balkans, 2010. Jelena Subotić’s starting point is to consider why the effects of transitional justice are so weak and why they fail to meet the goals of international norms. The paradox is obvious: although the goals of transitional justice are undoubtedly positive – to remove the harsh consequences of the crimes committed during the violent conflicts throughout the world, to enable society to heal and reconcile, to establish peace and justice for victims by punishing the perpetrators of crimes and to remove the conditions which would facilitate the repetition of violence and crime – the results are often merely the formal harmonization with international norms whilst they are essentially contrary to its aims. The fact that institutions of transitional justice have become so popular that the majority of countries recovering from armed conflict accept some of them, nothing changes the other important fact that every such country in its own way manages to manipulate those norms. Philip Leach, Taking a case to the European Court of Human Rights (in Serbian), 2007. This book is a practical guide to initiating proceedings before the European Court of Human Rights. It is primarily aimed at practitioners and non-governmental organizations as well as individual applicants to the Court. Following the introductory chapter where the author surveys the mechanisms of the Council of Europe and the European Convention on Human Rights, is an analysis of the practice and the entire progression of proceedings before the Court. The following chapters explain the rules of the Court for assessing the admissibility of applications, the principles which guide the Court’s practice of ordering just satisfaction, as well as a general overview of case law under articles 1 to 14 of the Convention, with Protocols 1, 4, 6, 7, and 13. Tracing innovations in the mechanism of human rights protection at the level of the Council of Europe, the author looks at Protocol 14 and the changes it introduces. Karen Reid, A Practitioner’s Guide to the European Convention on Human Rights (in Serbian), 2007. Karen Reid wrote the guide for practitioners representing victims of human rights violations, and for all those who would become better acquainted with the practice of the European Court of Human Rights. Along with the citation of the most important cases heard before the Court, a detailed description of the Court’s procedure is explained. The first part of the book deals with the practice and procedure before the Court and the second analyses problem areas, arranged by theme. Some of these areas are: presumption of innocence, arrest, retroactivity, discrimination, euthanasia, pensions, property, and social welfare. The division into approximately seventy problem areas facilitates readers’ orientation through the rich jurisprudence of the Court. The third part of the book turns to just satisfaction while the annex contains the text of the Convention, forms for application to the Court and explanations which are of great importance to addressing the Court. Christian Tomuschat, Human Rights Between Idealism and Realism (in Serbian), 2006. The author attempts to investigate the extent to which international human rights law impacts on state behaviour and on the individual’s position – a persistent question, posed at every mass violation of human rights. Tomuschat analyses how far normative proclamations contained in international instruments may be applied in a concrete situation. In his analysis, considering it necessary to first understand the context in which human rights operate, he begins with the history of human rights, the universality of human rights and their implementation on a state level, to later elaborate on the work of international organizations, expert bodies and other issues relevant to the transformation of human rights into reality. Finally, in his concluding remarks, Tomuschat states that although state sovereignty is a potential adversary to the enjoyment of human rights, this goal can only be attained with the concurrence of state and society and if the values embraced by the Universal Declaration and its accompanying two Covenants are shared by all parties involved. ABC Teaching Human Rihgts (in Serbian), 2005. Forcing students to understand every principle of human rights from the outset can prevent honest expression of what they think or feel, and can even stop their further progress in this regard. Thus this guide offers practical advice to teachers and other educators who wish to enhance children’s awareness of human rights in primary and secondary schools through activities related to human rights. It also contains suggestions for the development of educational activities and is not intended to be an additional burden to the educational programme, instead it is there to help the issue of human rights be tied to subjects already taught in schools. Its main role is to empower individuals to defend their rights and the rights of others. Vojin Dimitrijević, Jelena Jolić , Siniša Milatović , Vesna Petrović (eds. ), Protection of Individual Rights before the United Nations Treaty Bodies (in Serbian), 2003. As part of the Centre and the Organisation for Security and Co-operation in Europe’s project this book was published aiming at acquainting the expert public with the proceedings for the protection of individual human rights before the contracting bodies of the UN. The book considers the proceedings before and practice of the Human Rights Committee, and its jurisdiction, as well as the relations between Serbia and Montenegro and the Committee. Further, proceedings before the Committee on the Elimination of Racial Discrimination, Committee Against Torture, Committee on the Elimination of Discrimination against Women, as well as their jurisprudence and jurisdiction. The book also contains reproductions of applications that are submitted during proceedings for the protection of human rights to these bodies of the UN. Konstantin Obradović, Milan Šahović, Milivoj Despot (eds. ), International Humanitarian Law (in Serbian), 2002. As the Geneva Conventions on humanitarian law and its additional protocols, ratified by Yugoslavia, bind states to disseminate knowledge on international humanitarian law, the Centre, considering this obligation to be not only the state’s but also civil society’s, published this edition. The book was conceived out of a desire to publish the unfinished writings of Prof Dr Konstantin Obradović on international humanitarian law in a completed form. Prof Dr Milan Šahović and Dr Milivoj Despot assisted by editing his surviving texts and by writing essential supplements. The book later defines sources of international humanitarian law, with particular attention paid to the development and specific challenges faced by contemporary international humanitarian law. The authors further turn to the violation of international humanitarian law and to the work, efficacy and other significant themes relating to the ad hoc tribunals for the former Yugoslavia and Rwanda and to the International Criminal Court. The annex includes a selection of books, theses, handbooks and other sources which may be of use to all those researching international humanitarian law. Andraž Zidar, Lustration (in Serbian), 2001. Following the overthrow of authoritarian and totalitarian regimes and transition to a legal state which respects human rights and democracy, the problem of removing legal, moral and other vestiges of the previous regimes inevitably presents itself. The author considers lustration as a method of removing the remnants of authoritarian and totalitarian regimes. The book begins with an analysis of the concept of denazification as it is the best known measure of purgation and a measure that has much in common with lustration. In defining the concept of lustration, the author analyses the basic legal problems occurring during lustration – issues of retroactivity, the use of the former secret police’s archives, collective accountability, dismissal founded on political orientation from the public sector as well as the actual concept itself. 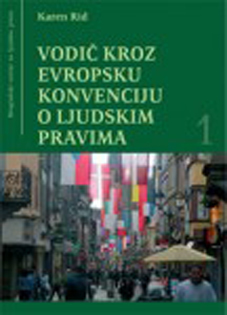 The author further provides a comparative overview of laws on lustration of the formerly socialist countries – Czechoslovakia, the German Democratic Republic, Hungary and Slovenia. Since there is a five-year gap between the publication of the original Slovenian text and the Serbian edition, it includes a supplement, written by Marko Mićanović, where there is an examination of attempts at lustration after 1996. Slobodan Beljanski, International Standards for the Criminal Procedure (in Serbian), 2001. This book attempts to define international legal standards in the field of criminal procedure so that judgement can be made on the extent to which they have been assimilated into Yugoslavian criminal procedure, if at all. In assessing international standards, besides legal definitions, the author explains this concept’s foundation in jurisprudence. The book particularly analyses international standards relating to an independent and impartial court, presumption of innocence, right to defence, inviolability of physical and mental integrity as well as standards relating to detention and deprivation of liberty. Furthermore, the author examines standards relating to proceedings against juveniles and procedures for providing international legal assistance. A supplement to the book contains the Basic Principles on the Independence of the Judiciary, International Convention on the protection of the right to defence, Standard Minimum Rules for the Treatment of Prisoners as well as other standards, enacted on an international level, relating to criminal proceedings. Vesna Petrović, International Procedures for the Protection of Human Rights (in Serbian), 2001. The fact that at the time of this book’s writing, there was no literature available locally that dealt specifically with monitoring and control procedures before international bodies. In the introduction, the author explains how human rights are protected at an international level and what obligations bind the state upon ratification of international agreements. The book contains a detailed description of all procedures provided by international agreements that are available to individuals, groups or non-governmental organizations. It encompasses all proceedings available to citizens in our country. At the end of the book, the author includes the Rules of Court and forms for filing applications. Vladimir Đurić, Constitutional Appeal (in Serbian), 2000. The issue considered in this book is important to the full protection of human rights on a national level through constitutional appeals, existing in some legal systems. The author considers the concept of constitutional appeal, the history of the application of this mechanism of court protection, procedural assumptions and elements of constitutional appeal. He additionally turns to questions relating to the lodging of a constitutional appeal, the role of this legal remedy in the protection of violated rights and the effect of decisions on those to whom compensation must be provided for the violation of constitutionally guaranteed rights. Vojin Dimitrijević, Agneš Kartag Odri, Branislav Milinković, Jan Lui Serfontein, Ivana – Simović Hiber, Branimir Stojković (eds. ), Cultural Rights (in Serbian), 1999. The book “Cultural Rights” is a collection of papers written by several authors. It discusses important topics in the field of cultural identity as determinants of cultural rights, explaining theoretical views on the concept of cultural rights, with special emphasis on the cultural rights of national minorities. The authors also describe institutional mechanisms for the protection of cultural rights, the (international and national) sources of these rights and studies conducted in 1998 in Serbia. The annex contains the Hague Recommendations on the education rights of national minorities and the Oslo Recommendations on the linguistic rights of national minorities. Vida Čok, The Right to Nationality (in Serbian), 1999. A more complete work on nationality has long been absent in literature in our language. Dr Vida Čok decisively took on the task to fill this void and to systematically study the relationship between human rights and nationality for the first time. Her book will not only contribute to the clarification of concepts, but will also help those professionally engaging in issues of nationality or are otherwise affected by state policy on nationality to henceforth better represent their interests and improve their fate. The reader will be able to appreciate the personal dedication and compassion poured into this book, revealing in that way that a real commitment to human rights always implies value judgements, and an unwavering humanistic and liberal orientation. Realisation of Economic and Social Rights (in Serbian), 1999. The collection contains the work of experts in the fields of public spending, income distribution, social security, union organization, housing, special care for mothers, children and youth, and the position of women, who prepared materials for three round tables devoted to the analysis of the realization and state of economic and social rights in Yugoslavia. The collection has three themes corresponding to the headings of the round tables and contains work of twenty-four authors analyzing economic, legal, sociological and socio-political aspects of the realization of economic and social rights. Konstantin Obradović, Human Rights for Beginners (in Serbian), 1998. Have you read the Universal Declaration of the United Nations on Human Rights? It is the most noble Law enacted in the history of mankind. Over five billion human beings inhabiting this planet depend on whether this law will be an ideal or reality. You are one of them. This is the motto of a short brochure, which should be of use to beginners wishing to become familiar with the fundamental human rights. It is written in the format of a conversation between the author and a female persona. It is particularly suitable for the wider public and for the makes understanding of the concept and content of human rights easy. Thomas Buergenthal, International Human Rights in a Nutshell (in Serbian), 1997. Prof Buergenthal’s work is a very good introduction to the study of international human rights law. This book can be of use to those wishing to become familiar with the matter of human rights because in it the author give a concise overview of human rights norms and the institutional context in which they develop. The work contains a part devoted to the development of the ideas of human rights, a description of the system of these rights’ protection within the UN system, the Council of Europe, on the American and African continent and a section on humanitarian law and the role of non-governmental organizations for the protection of human rights in the promotion and advancement of human rights. Konstantin Obradović (ed. ), Humanitarian Law in Theory and Practice (in Serbian), 1997. The publication is comprised of three parts. The first part contains the author’s own study dedicated to the development of the law of armed conflict under the heading International Law of Armed Conflict – from law of war to humanitarian law, containing contributions specially written for the project that the Centre initiated in 1996 with the support of the Swedish Institute for Human Rights, with the goal of introducing the public to the theme of humanitarian law of armed conflict. Materials and conclusions drawn in the conference held in 1997 are also published in this book. The third part contains a summary of the debate that took place in the conference. Nevena Vučković Šahović (ed. ), Rights of the Child – National and International Standards (in Serbian and English), 1997. The Belgrade Center for Human Rights implemented the project “Rights of the Child in Yugoslavia” in 1996 and 1997. In view of the international significance of human rights, the aim of this project was to introduce the wider public to the importance of the international protection of children’s rights. This book is the product of work on that project and is composed of two parts. The first part of the book deals with international law and the place of rights of the child within in it (especially in the UN system). The second part relates to the state of children’s rights in Yugoslavia. Finally, the book contains short commentaries by various authors, NGO representatives and other relevant organizations that are dedicated to children’s rights and that may affect the existing legislation. Vojin Dimitrijević, Milan Paunović, Vladimir Đerić (eds. ), Human Rights – A textbook (in Serbian), 1997. This book is aimed at all those who wish to become acquainted with the matter of human rights, not just lawyers and law students. So it is written without excessive reliance on technical terminology. For those wishing to further familiarize themselves, at the beginning of each chapter there is an overview of literature whilst a list of recent papers on human rights in Serbian can be found at the end. Donna Gomien, Short Guide to the European Convention on Human Rights (in Serbian – versions in Cyrillic and Latin characters), 1996. The guide was prepared as a response to the pronounced need of future member states of the Council of Europe to become informed on the regulations of the European Convention on Human Rights and the jurisprudence of the European Commission of Human Rights and European Court of Human Rights. He points to issues arising during the application of the Convention in the Coucil of Europe’s member states and demonstrates how the bodies created by the Convention relate to them. The guide gives a brief examination of the Commission and Court’s jurisprudence in the resolution of human rights violations, the methods applied by these two bodies in deciding cases, the role of the Committee of Ministers as a monitoring body and the Secretary-General of the Council of Europe in the application of the Convention. Konstantin Obradović, Milan Paunović (eds. ), Human Rights Law – New Themes (in Serbian), 1996. The book contains papers from various sub-divisions of human rights, and are grouped into three sections: general themes (texts considering issues traditionally covered by human rights), European themes (problems directly related to the application of human rights on the continent and in our country) and new themes. This section deals with issues that at first glance do not fall under human rights as they are traditionally depicted in textbooks. The reader will however, see that they do form part of the body of questions relating to human rights even though they have not been given enough attention to date. Vojin Dimitrijević, Milan Paunović (eds. ), Rights and Freedoms, International and Yugoslav Standards (in Serbian), 1995. The Lawyers’ Association of Yugoslavia, the Law Faculty of the University of Belgrade and Raoul Wallenberg Institute of Human Rights and Humanitarian Law held a conference “International standards on human rights” (Belgrade, 29-31 March 1995). Over eighty participants, most of whom were young lawyers, sociologists, journalists and members of non-governmental organizations from Serbia and Montenegro, attended it. The texts of lectures given at the conference are reproduced in this book and an annex contains a record of the discussions. The collection is aimed at those who want to deepen their knowledge of human rights and their regulation in international, comparative and Yugoslav law.